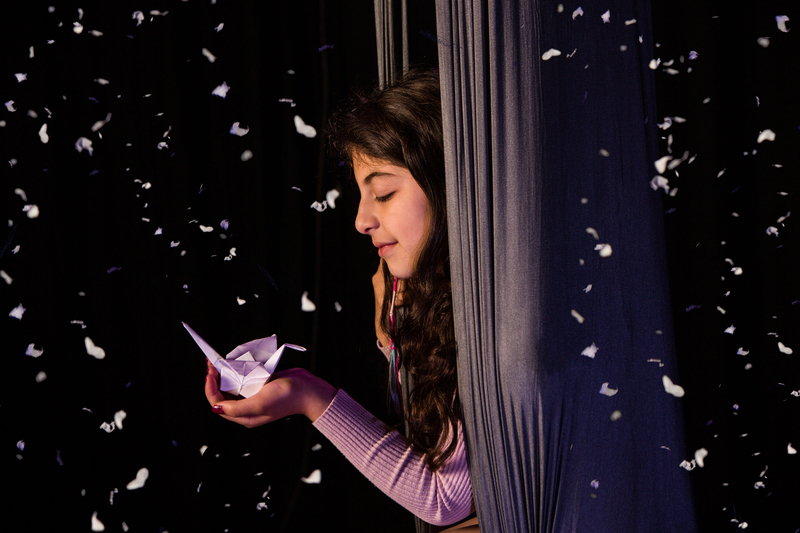 A new visual theatre show for children aged 7+, written by Mariem Omari and directed by Rachael Macintyre. Jabuti Theatre’s Paper Memories is an exhilarating performance for children aged 7+ about migration, identity and the power of memories. 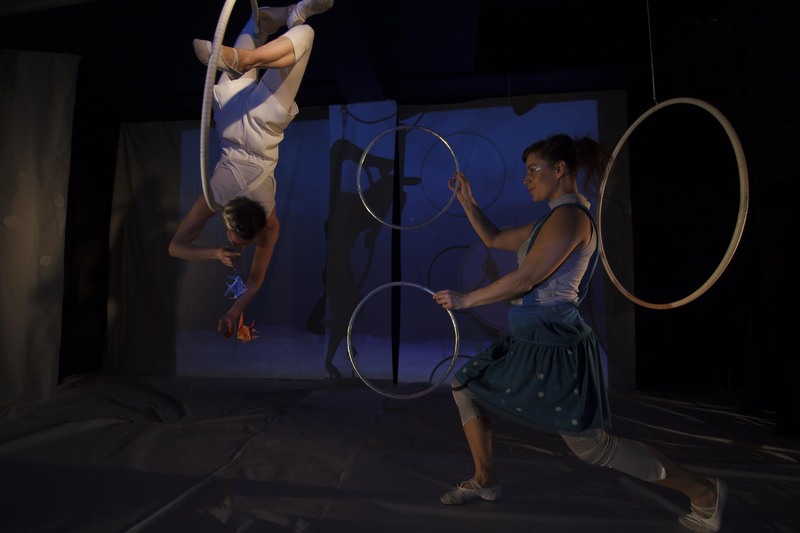 With aerial-dance, puppetry and music, we will be brought into the bright and colourful memories of Tali; a young girl arriving in Scotland with her family. The family feels strange and other and a desperate need to fit in and forget. Tali, told not to remember, slowly finds her memories crumpling and ripping before her eyes. Until her family realise that the only way to keep them together, to be a family in this new place, is to remember. Paper Memories uses captivating music and stunning visuals to bring to life memories of wedding parties, chasing chickens and dancing in the air with birds. 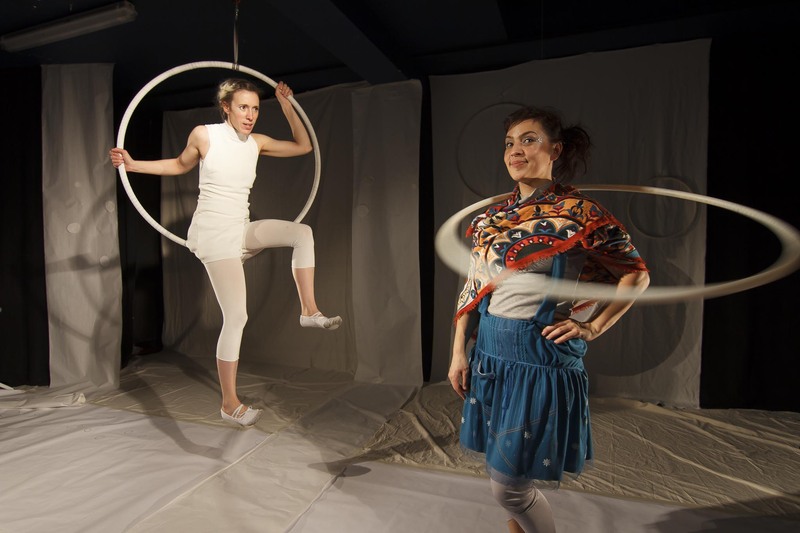 Created by Mariem Omari and Rachael Macintyre (Jabuti Theatre), Paper Memories takes the audience on a visual journey exploring the importance of giving children the space to be heard and how our memories make us who we are. Tour Spring 2019 – click on link to book tickets. 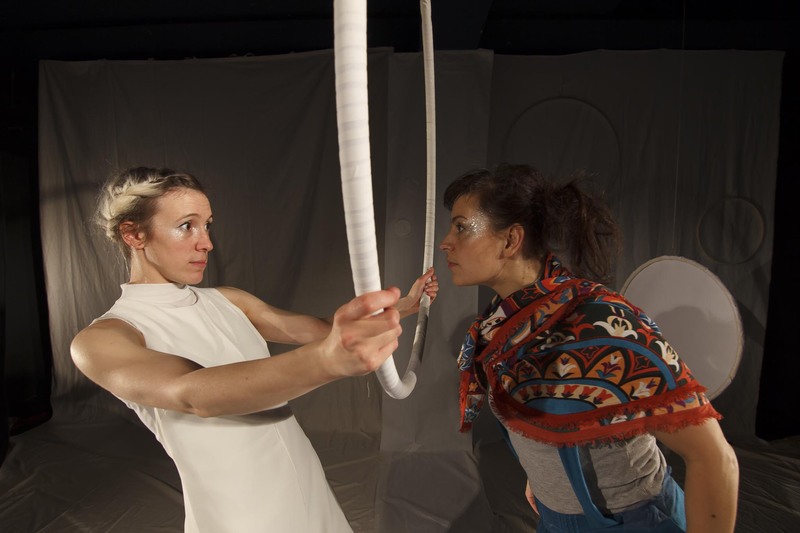 As part of the R&D of Paper Memories Jabuti Theatre has been running workshops with Syrian and Syrian Kurdish refugee children and families through Multi-Cultural Family Base, Edinburgh Council and Maryhill Integration Network. These workshops have been made possible by Creative Scotland, Scottish Refugee Council and Glasgow Life. Rachael Macintyre also took part in the Imaginate PUSH lab on Migration at The Ark in Dublin in February 2018. This was a 10 day residency exploring the subject of migration and how we can engage with this through work with, for and about children. The project and production is funded by Creative Scotland, with support from Imaginate during the creative development phase. Thank you goes to Farah Saleh, Claricia Kruithof, Claire Crook and Jennifer Street. 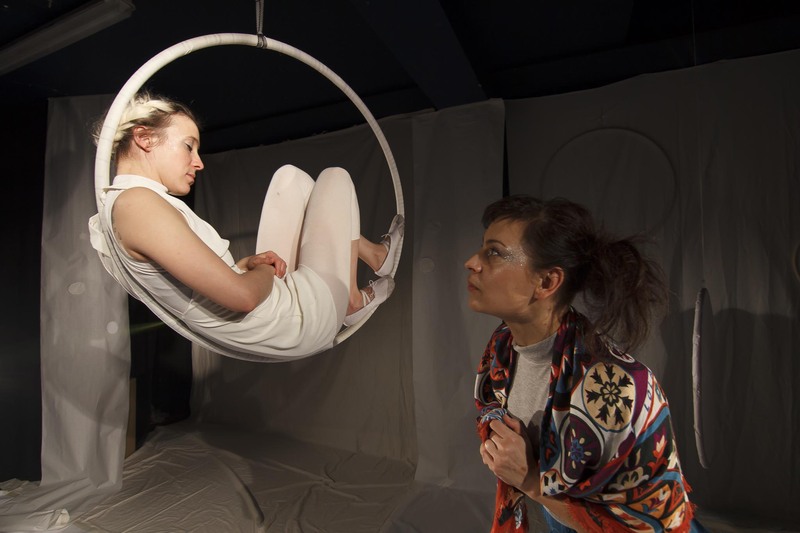 As part of a European Funded, international residency at Teatro Paraiso, in Vitoria-Gasteiz in the Basque Country, Spain, Jabuti Theatre undertook the first stage of development for Paper Memories. In February 2017 Rachael Macintyre, of Jabuti Theatre, lead a two-week residency at the KunArte Innovation Centre (run by Teatro Paraiso), working with past collaborators Robbie Thomson (In Her Shadows) and Jusztina Hermann (Moonbeam on a Cat’s Ear). 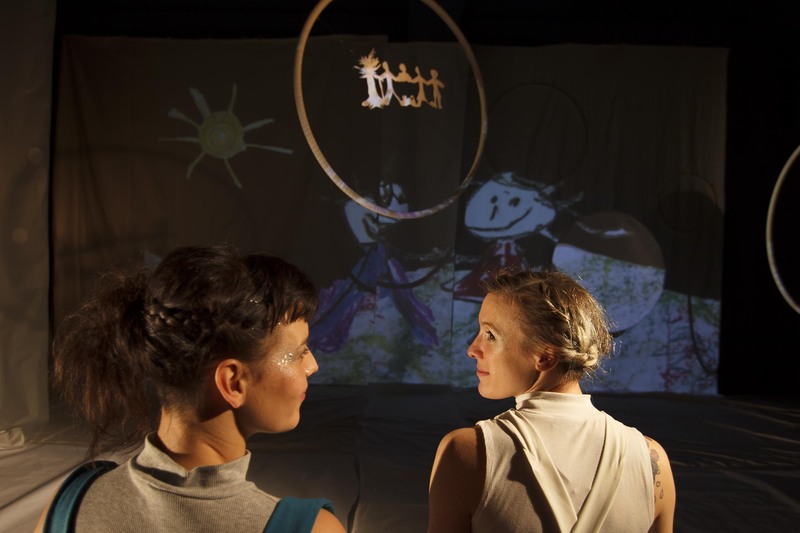 We began the exploration of the idea of memories and loss, combining circus, clowning and interactive technology. We also ran workshops for children and for families. At the end of the residency we performed a work-in-progress showing of the work we made. These two weeks were an incredibly exciting initial development for the project and opened the lid to lots and lots of ideas.